Wood is the original energy source. Since prehistoric times, humans have kept warm by burning it. Here in the 21st century, there are more effective, efficient and safe ways to burn wood for household warmth. Even the wood fuel itself now can be a standardized product that eliminates most of the physical effort of acquiring it. While the motivations for burning wood may be many, including economic, environmental and aesthetics, the art and science of warming a house with a wood-burning appliance generally falls into two categories: wood stoves and pellet stoves. Wood stoves are generally constructed more massively and have more comprehensive venting requirements than a pellet stove. In homes lacking a fireplace that could accommodate a wood stove insert, the required venting for installation of a free-standing unit adds substantially to the cost. Typically, the upfront expense of buying and installing a wood stove is about 25% above the cost of a pellet stove. In most cases, pellet stoves can be vented directly through any exterior wall utilizing smaller diameter vent pipe than a conventional wood-burning stove. 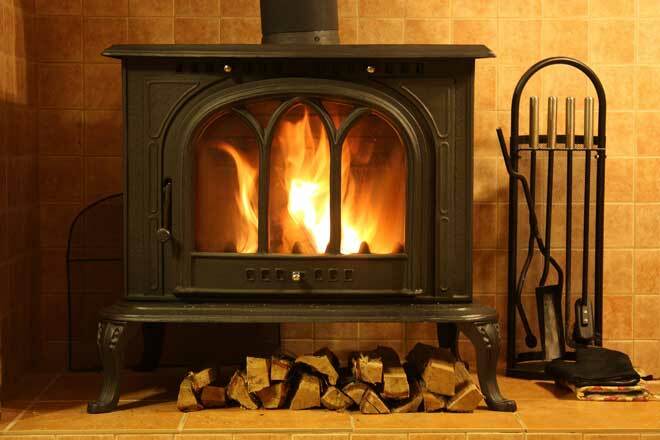 Is free wood available to fire a wood-burning stove? If not from trees on your own property, perhaps some nearby forest allows tree-cutting and harvesting wood to keep the stove lit and your home warm. If your time and expenditure of physical effort have a price, however, figure that into the total cost equation, too. You’ll spend a meaningful amount of both out there harvesting wood yourself. Wood pellets burned in pellet stoves, conversely, are made of sawdust or small chips of wood compressed together under great pressure. They don’t grow that way naturally and you can’t make your own. Therefore, you’ll have to order them online and have them shipped to you or purchase them from a retail outlet—in some locales, a source can be difficult to find and pellets are not often available at a discounted price. One ton of pellets will provide about 75% as many BTUs of heat energy as a cord of wood and will cost about $50 more. However, because a pellet stove is more efficient than a wood stove, it produces heat more effectively, which helps compensate somewhat for that difference. When all factors are taken together, if a dependable source of free wood is local to you and you don’t mind the exercise of cutting it yourself—or if you can find pre-cut firewood at a competitive price—a year’s worth of BTUs from a wood-burning stove will cost slightly less than the pellets you would need to purchase for a pellet stove. Why would a unit that burns wood products to generate warmth also need electrical power? Wood burning stoves don’t: A match and some kindling are all that’s required to start the fire. Then, the human effort and attention required adding firewood to keep it going. Pellets utilized in wood pellet stoves contain very compressed energy content and must be automatically fed to the fire in metered amounts. This function is performed by a refillable electric hopper that continuously adds measured quantity of pellets to produce the desired amount of heat. Also, many pellet stoves incorporate two electrical fans: one forces air into the combustion chamber to induce high-temperature combustion and the other draws exhaust gases out through the vent pipe. Today, these are typically fans that incorporate high-efficiency motor technology that sips electricity. While electrical consumption varies per the capacity of the pellet stove, figure about 100 kilowatt hours (kWh) per month. At typical rates, using a wood pellet stove will add an estimated $9.00 to your monthly electric bill. Modern wood stoves aren’t the ones you see in old westerns. They are regulated and must meet stringent Environmental Protection Agency standards for the amount of smoke released from the exhaust vent. New units made today must burn as much as 70 percent cleaner than units of only a few years ago. A typical existing wood stove, depending on the size, is rated to release from 2 grams to 7.5 grams of smoke particulates per hour. On the other hand, pellet stoves burn highly-compressed pellets of purified wood content at an extremely high temperature. 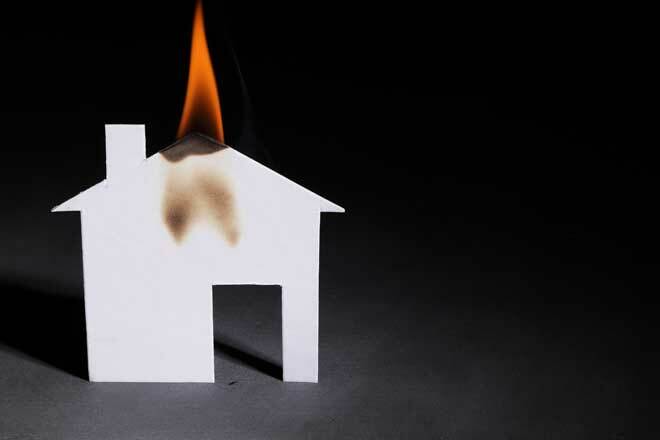 The smoke content generated is minuscule compared to a wood stove: a typical pellet stove creates less than one gram of smoke particulates per hour. Burning pellets also releases less CO2 into the atmosphere versus a wood stove burning common firewood. Since the pellet fuel is derived from waste wood products, turning this waste into usable fuel can be considered a type of recycling that reduces the amount of bulk taking up space in landfills. By all these measures, pellet stoves are greener than wood stoves. An open flame is an open flame, no matter whether it’s generated by a wood stove or a pellet stove. Therefore, common sense safety measures apply to either system. However, each type also imposes its own specific requirements for safe use in a residential indoor environment. 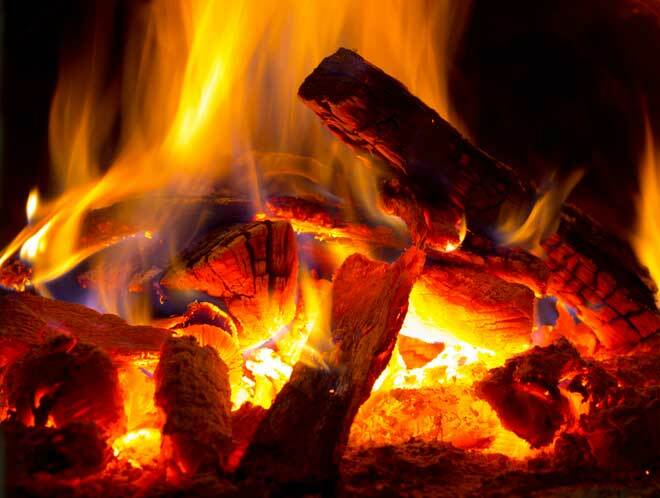 Wood stoves that use common firewood may generate sparks and pop or flare unpredictably. 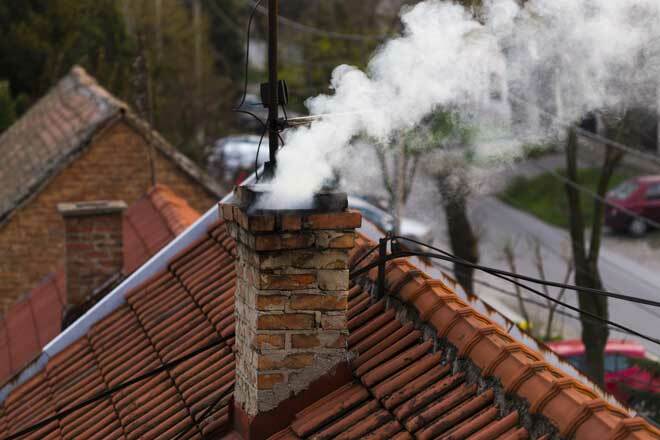 Creosote residue accumulating in the stove or exhaust pipe over a long period could also ignite, posing risk of a house fire. 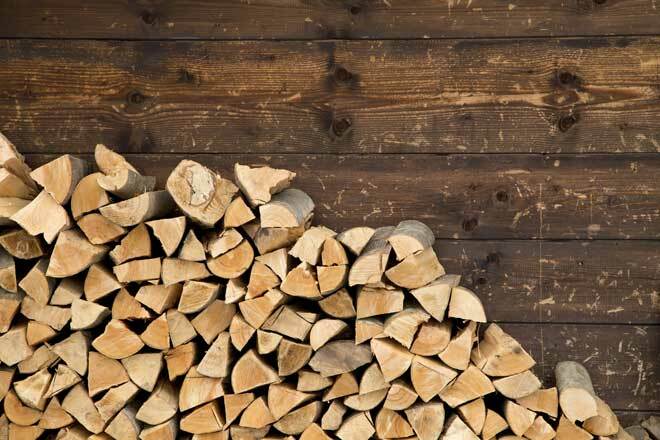 The firewood itself should be carefully inspected before bringing it into your indoor environment from the great outdoors: make sure you’re not also inadvertently bringing in a wasp’s nest or some other pest that has made its home in the woodpile. 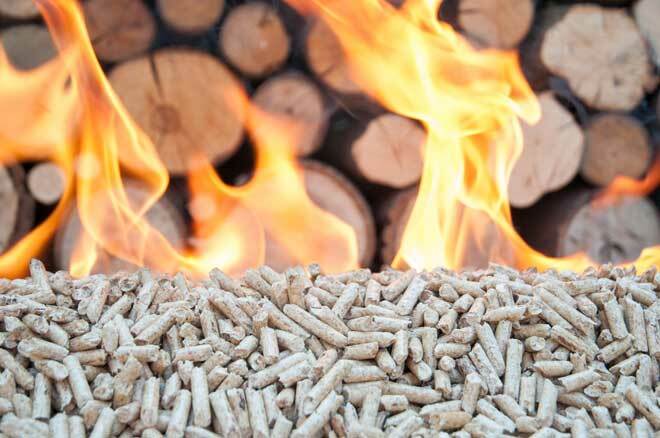 Pellet fuel, conversely, is man-made and subject to quality control. Its burning consistency is more uniform and predictable than natural firewood cut in the forest. Pellet stoves burn hotter and more cleanly than natural wood, eliminating factors like creosote build-up. Because the fire is totally enclosed within the combustion chamber, flying sparks or embers aren’t a hazard, either. However, the substantially higher temperatures generated by a pellet stove deserve respect and both humans and pets should be kept away from direct contact with the unit. A wood stove has maintenance requirements similar to a well-utilized fireplace. 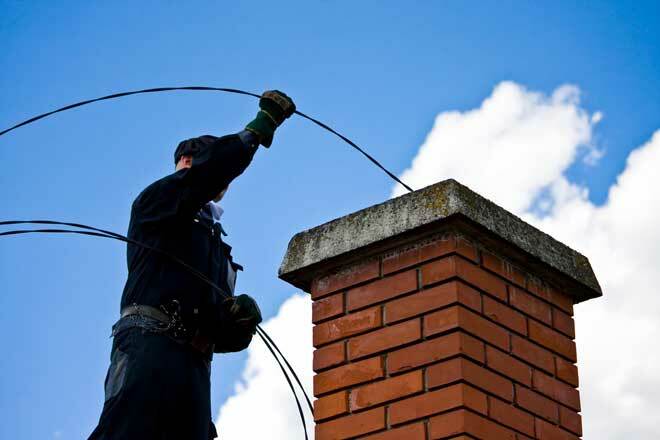 This means that the exhaust flue and other elements of the system need annual attention from a qualified chimney sweep to prevent accumulation of residue that could decrease efficiency and pose a safety hazard of fire. Wood stoves also typically incorporate a device designed to reduce smoke emissions called a catalytic combustor. These units need to be inspected and cleaned every 4 to 6 months—often a DIY task if you’re handy and willing. Maintenance of pellet stoves is far more streamlined, generally limited to verifying proper operation of the fans and making sure no unburned debris remains in the combustion chamber. Most of what’s required in manufacturer’s recommendations is minor do-it-yourself cleaning. If major malfunctions develop, however, such as an inoperative fan or a defect in the hopper that feeds pellets, you’ll probably require a service call from a qualified professional for parts and repair. Wood is wood. However, the way you convert that wood into heat energy depends on which particular factors mentioned above are most important to your household requirements and personal preferences. About 12 percent of American homes get all heat or supplemental heat from either wood stoves or pellet stoves. Reviews and research on this topic are abundant in online sources. Consider all the pros and cons and make an informed decision you can live with—comfortably.